Skyler Russell is an adventurous world-traveler who has found in photography a means to capture the beauty of the wildlife, landscapes, and people he has spent time with. He desires to be a part of mending a broken world, and he believes that images of beauty can do more than inspire awe; they can communicate a message of hope, and fascinate people into action. First taking up photography during his years in Tanzania, he quickly developed a passion for photographing wildlife, particularly birds. 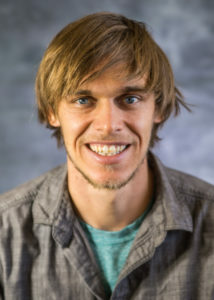 Since then, Skyler has been a photography intern for Azusa Pacific University’s marketing department for 4 years, expanding his photography into commercial and photojournalistic spheres, and rubbing shoulders with professional photographers who have been in the field for decades. From being told by his employer to stop climbing trees to get aerial pictures of the University, to purposefully making himself a target for a pair of dive-bombing Bald Eagles, Skyler has always considered his dare-devil spirit to be an asset to his photography. His love for travel has taken him from the plains of the Serengeti to the alpine lakes of California’s High Sierra, from the rugged coastline of Alaska to Israel’s Dead Sea. Skyler continually finds himself drawn to new and wild places and has much more traveling and adventuring he looks forward to…with camera in hand, of course.